An apple a day keeps the doctor away. Folk wisdom produced this proverb a long time ago. Our canny ancestors didn’t conduct laboratory experiments with rats, but they knew that people who ate an apple every day stayed healthier. The proverb would hold true even if changed to “an onion a day” or “whole grains every day.” But until fairly recently, we weren’t certain why eating these foods keeps us healthy. We’re more than familiar with the vitamin and mineral contents of everyday foods. A quick online search brings up dozens of studies on fresh foods and nutrition. We’re also fairly well informed about the health benefits of eating probiotic foods every day, like kefir and sauerkraut. But as science delves further back into the interactions between food and our bodies, a fairly new discovery has gained a name: prebiotics. What’s the difference between probiotics and prebiotics? For starters, prebiotics are indigestible. They’re all fibers of one kind or another. They pass through the digestive system without change, until they stop in the colon. There, probiotic bacteria break them down to ferment and devolve into short-chain fatty acids. The bacteria then feed on this fermented prebiotic matter. The result: stronger, more effective probiotics in the gut, which in turn strengthens immunities, supports gut and heart health, prevents cancer and even relieves symptoms of depression and anxiety. As beneficial bacteria grow stronger and increase, they overcome bad bacteria in the gut. Interesting that even bacteria need nourishment, right? Then again, anything that lives must eat. Let’s see which foods deliver lots of prebiotic fibers. First, fruit, and especially, apples and bananas. Studies done on rats conclude that the pectin found in apples helps increase beneficial bacteria. Harmful bacteria is then overcome and dies out. Bananas’ high levels of inulin, a prebiotic fiber, make the fruit another healthy choice as a snack or dessert. Coconut flesh and flour are said to be rich in prebiotic fibers. Foods from the allium family are often cited: onions, leeks, and garlic. They don’t have to be eaten raw like fruit. A fragrant onion soup warms the body and provides plenty of prebiotic material. Crush a garlic clove and stir it into salad dressing. Delicious and double-healthy, as garlic’s antimicrobial properties weaken bad bacteria while its prebiotic fibers nourish the good. Or if raw garlic is just not your thing, try our savory roasted garlic soup. Many vegetables get those prebiotics into your system. Jerusalem artichoke is often cited, but it’s not always in season, and not to everyone’s taste. Carrots, corn, peas, radishes, and yams are easy to find and easy to eat. 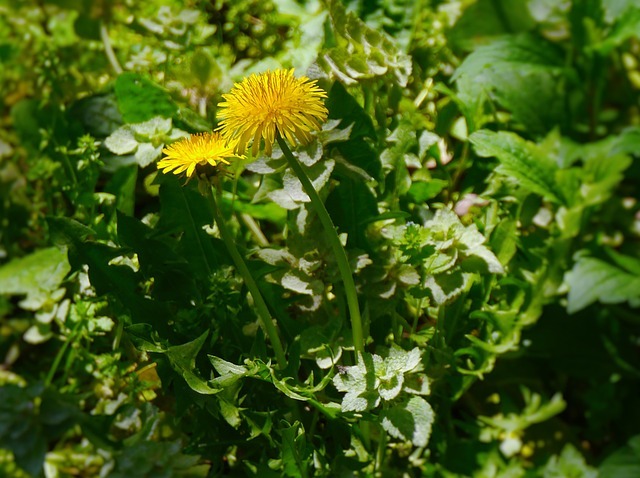 Leafy greens, especially dandelion greens, are especially rich in prebiotics. Cabbage, beets, bell peppers and artichokes figure on the prebiotic list as well. Legumes, whole wheat and whole grains such oats and barley, seeds and nuts, quinoa, and – guess what – dark chocolate, are known to nurture good bacteria. The less cooked, the higher the prebiotic content of these foods. 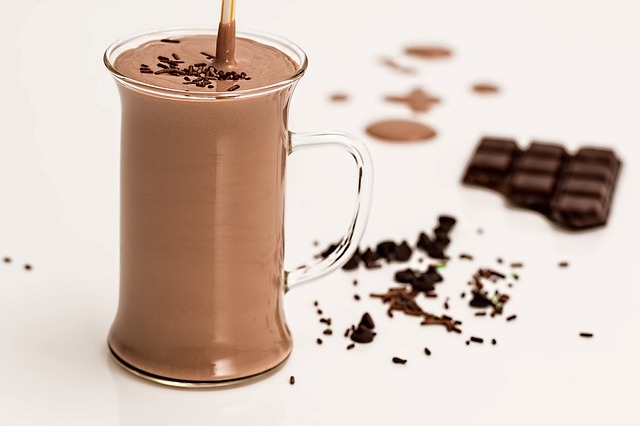 So rather than relying on a 70% cacao content chocolate bar, put a tablespoon of fair-trade cacao powder in your smoothie. Eat stir-fried or lightly steamed vegetables rather than boiled or fried. What about prebiotic supplements? Research hasn’t yet proved that commercial supplements are sufficient to build healthy bacteria. While it’s more convenient to pop a couple of capsules, eating a variety of living plant foods is a far more reliable way to get those prebiotics. Tastier, too. There is a caveat with regard to prebiotics. They may disturb the digestion of people with irritable bowel syndrome or Chrone’s disease. The catch is that a diet entirely without prebiotic foods reduces the number and quality of friendly gut bacteria. To solve that problem, some nutritionists suggest eliminating prebiotic foods entirely, then slowly reintroducing them to the diet. 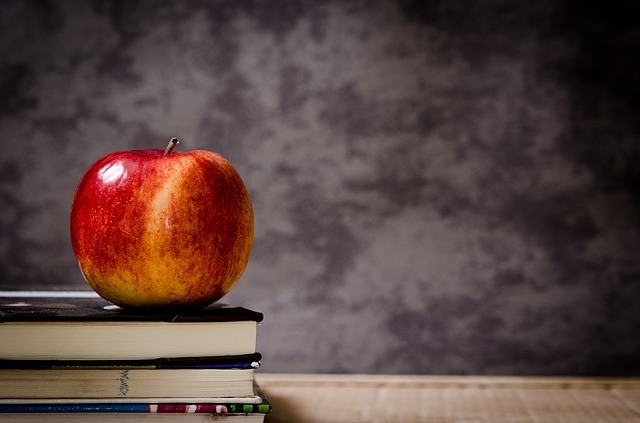 Photos: apple by Jarmoluk via Pixabay; chocolate smoothie by stevepb via Pixabay; dandelions by auntmasako via Pixabay.